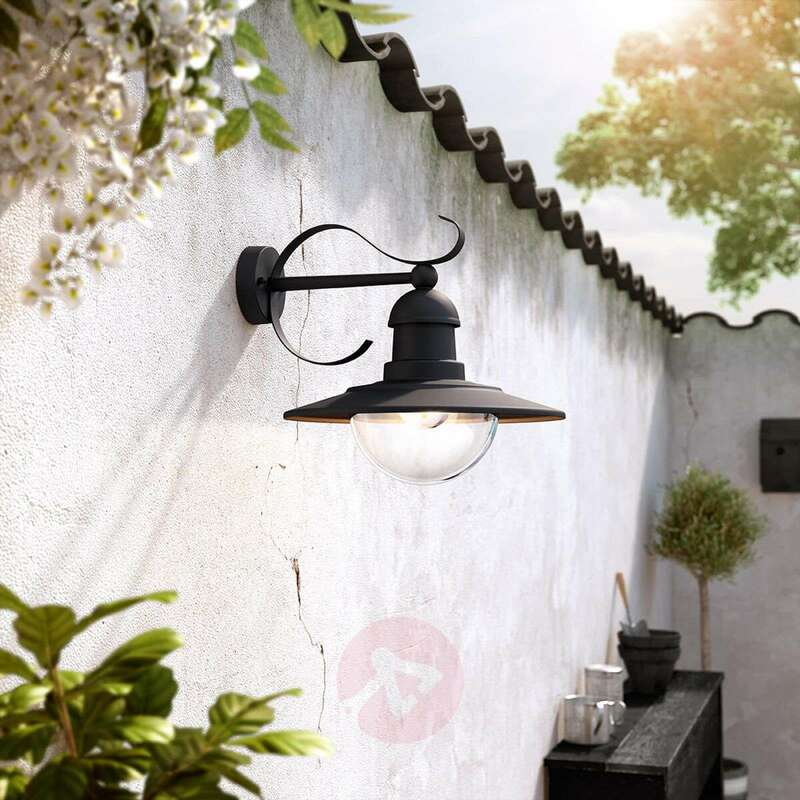 Decorative, effective, bright - the outdoor wall light Topiary combines these properties. 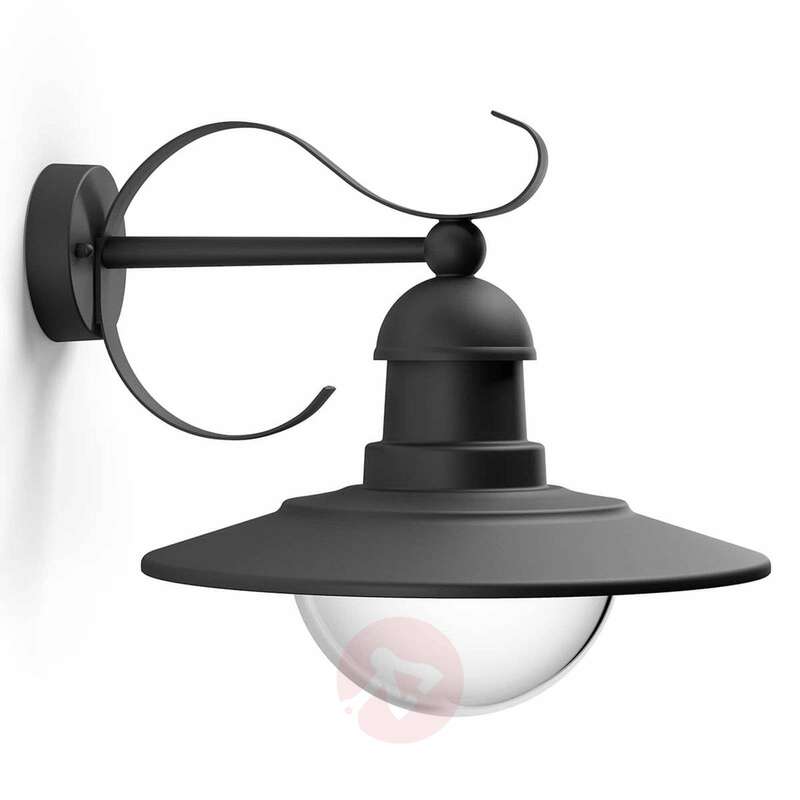 The lampshade projects out from an ornamented wall mount and all the parts of the frame and lampshade are painted matt black. At the bottom, the light bulb (E27 max. 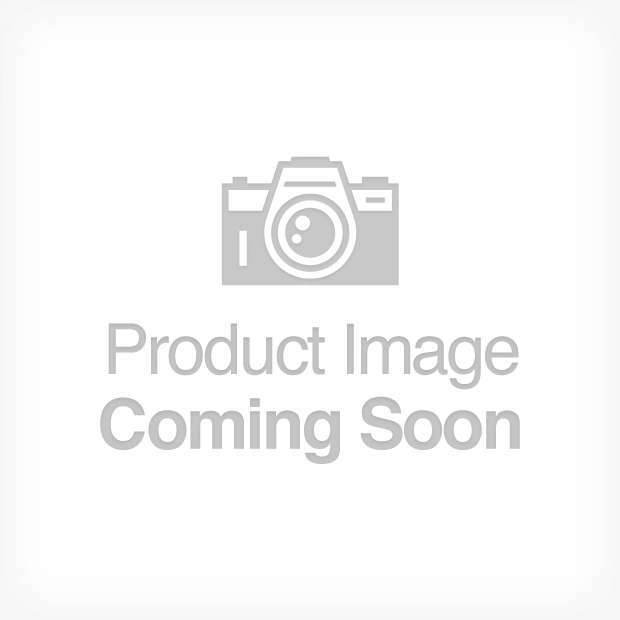 60 W) is covered by a clear glass lampshade which does not swallow any light. There is also an unobstructed view of the light bulb through the clear lampshade. 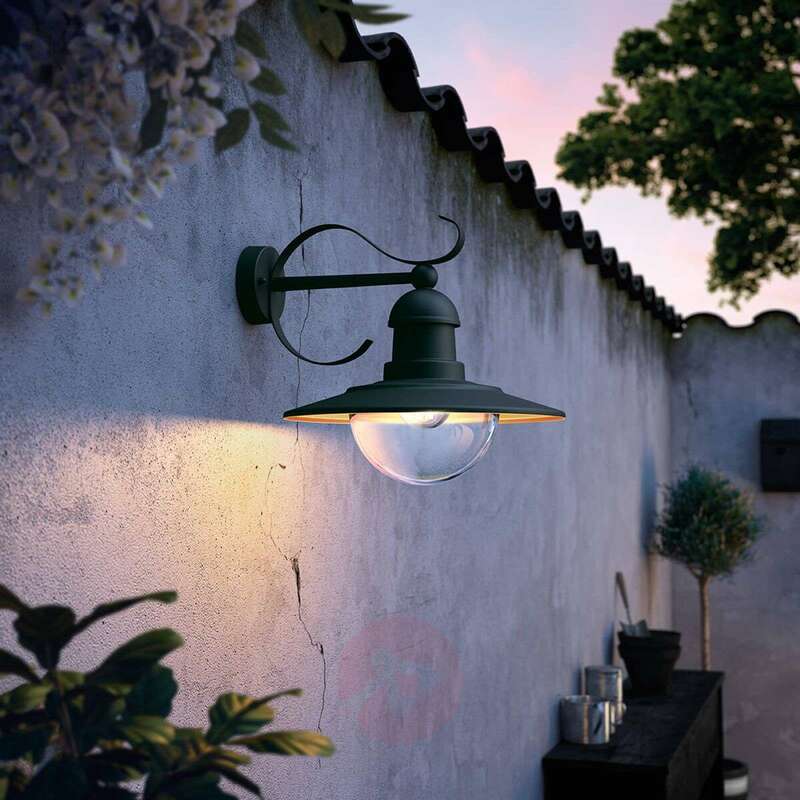 The use of a clear bulb is recommended to round off the appearance in a vintage design - a bulb with filament technology has a particularly decorative effect. 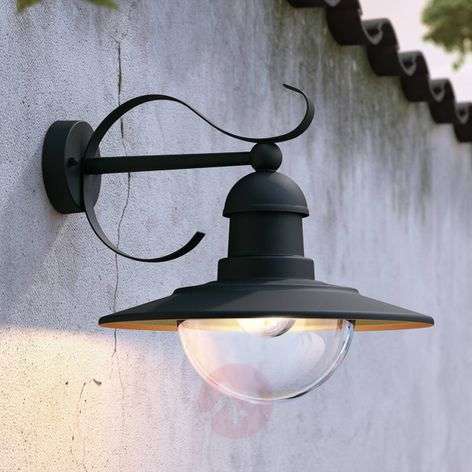 Fitted with a modern and very durable LED bulb, the outdoor wall light provides very energy-efficient lighting for the outdoor area. Does this light have a sensor? Thank you for your query. 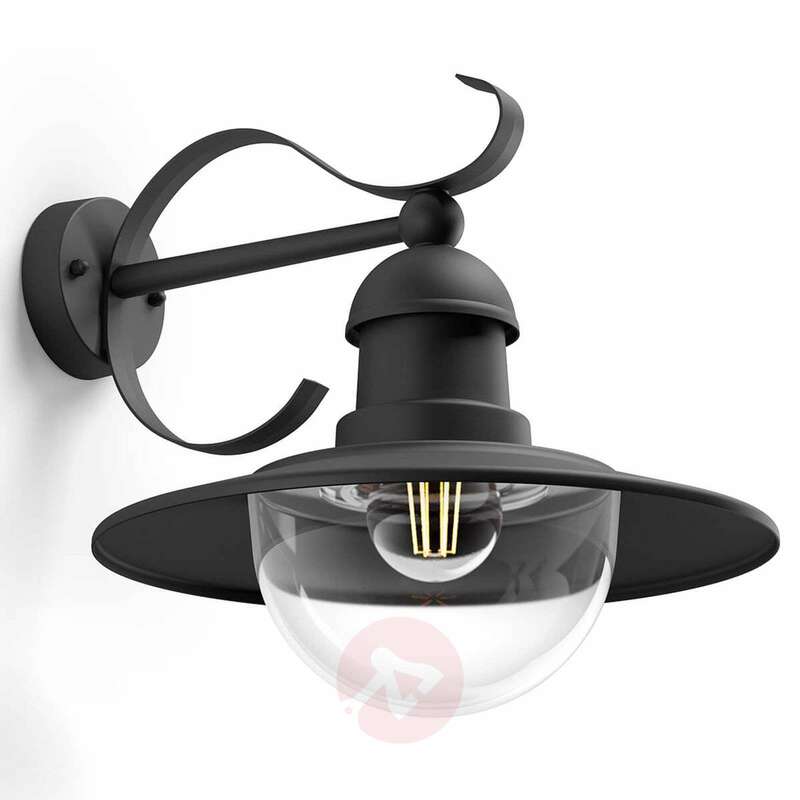 Kindly note that this lights does not have a sensor. Please contact our customer service for further assistance.